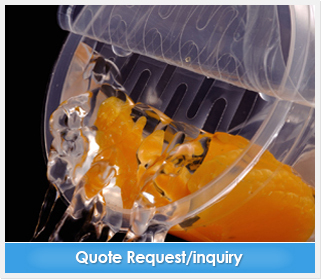 These multilayered plastic film lids are made with the ”L & I”'s proprietary technology known as ”half-cut”. PartialOpen works by separating a small section of the top segment of the multilayered lid to expose holes in the remaining sheet. By simply tilting the cup, liquid can be easily drained without spilling the remaining contents. PartialOpen lids are perfect for hot instant noodles and are also ideal for a wide range of applications such as dessert packaging and air purifiers.